On behalf of JCM 2019 Board, it gives us immense pleasure to bring you January 2019 edition of Newsletter. Thank you everyone for coming to the Sangatith Pooja last week despite the extremely cold weather. We had a successful first event. It wouldn’t have been possible without your participation and contribution. Based on the count at the check-in desk, around 94 members (35 families) participated. Thanks to everyone who supported with the logistics, food preparation, dining area setup, clean up, etc. It was a true team effort. 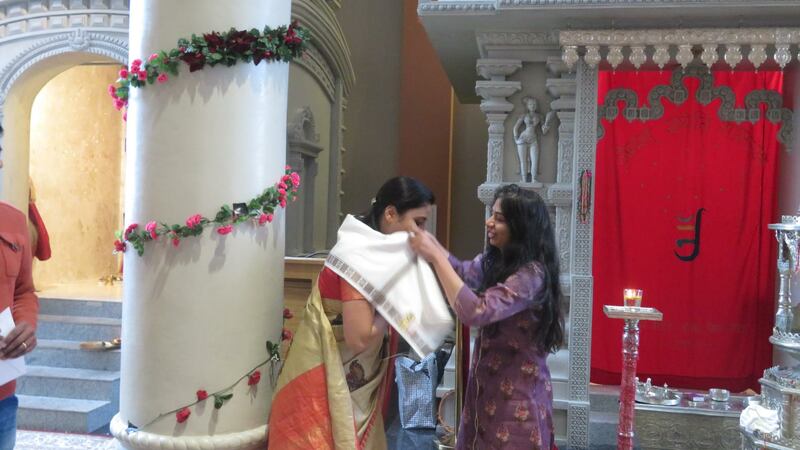 Kavita Jain & Hetal Gandhi for leading the poojas. Gomtesh Jain & Deval Vora for leading the event. JCM Community volunteers who helped with the event. JCM Youth Committee for assisting with the check-in desk & helping throughout the event. Food Committee, volunteers and their spouses for preparing delicious food for 100+ JCM members in this super cold weather. Hindu Mandir team for providing logistical support. During the event, we appreciated Hindu Mandir for their great support with a small donation. On behalf of Hindu Mandir, their President Ms. Vallabha Tantri participated in the event. The event was live broadcasted on the JCM website (LINK) and was viewed by 83 unique viewers (172 views in total). Based on received feedback from remote JCM members, we will try to continue this initiative for future events too. Please find the event pictures from the link below. If you have taken event pictures, please upload on JCM event folder using the same link below. Thanks for reading this JCM January 2019 Newsletter. Stay Warm! If you are interested in hosting the next event “Swadhyay” at your home, please contact any of the JCM Board members for your interest. To ensure that the host family can participate in this knowledge sharing and discussions, the host family does not need to arrange for food or refreshments. Please feel free to contact JCM Board members for any clarification or questions. This is a milestone year for JCM as we will be completing our 30th year of formation of Jain Center of Minnesota (JCM). 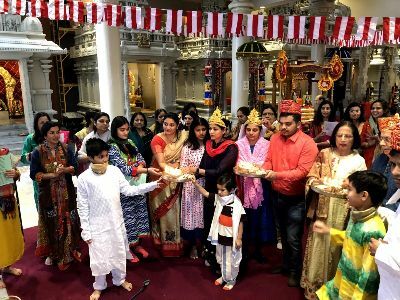 With blessings from the Tirthankars and kind support from all of you, we plan to have celebration and events throughout the year. Broadcasted January event “Sangatith Pooja” live event on JCM website (LINK). We will try to live stream most events on JCM website. Around 83 unique viewers with 172 views recorded. Created “Broadcast Only” JCM Announcements WhatsApp group to avoid missing important JCM related notifications. To join this group, click HERE. Please provide your valuable feedback for JCM’s January event “Sangatith Pooja” and inputs for upcoming events using this SURVEY FORM. Please block your calendar for future JCM events planned for this year. Watch out for email from Jain.Center.Mn@gmail.com for details and registration for these events. JCM Board will require all your help and participation to make these events successful. Visit 2019 Events section (https://jaincentermn.org/2019-events/) from our website. As you know JCM is a non profit religious organization that spreads the message of Jainism in Twin Cities. This organization runs on your membership, donation, and support. We would like to request that if you are not a member of JCM or an annual member (which needs to renew every year by you), please consider to become a “LIFETIME MEMBER” of this great organization ($300 for family & $200 for individual lifetime membership). This way you can show your support to our organization as well as remove annual renewal task from your to-do list. Please Click here to get membership details and form. In case of any further information required please send your query to Jain.Center.Mn@gmail.com. Receipts for donations to JCM in the year 2018 are being sent out. If you have not received the same, please send an email to treasurer@jaincentermn.org or Jain.Center.Mn@gmail.com with the details. Click Here for feedback or survey of JCM “January – March” Events. Copyright © 2019 Jain Center Of Minnesota, All rights reserved.